Make sure to take a camera; your kid’s reactions could be hilarious. 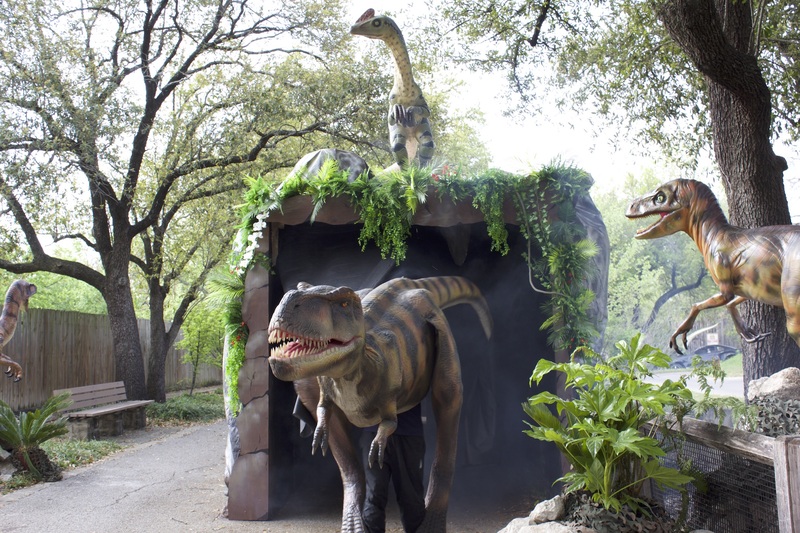 Calling all archaeologists, dinosaur enthusiasts and Jurassic Park fanatics: The Dallas Zoo has unveiled a new addition to the park: Dinos at the Dallas Zoo. Now your littles can see their toy T. rex’s in real life—at an overwhelming size. 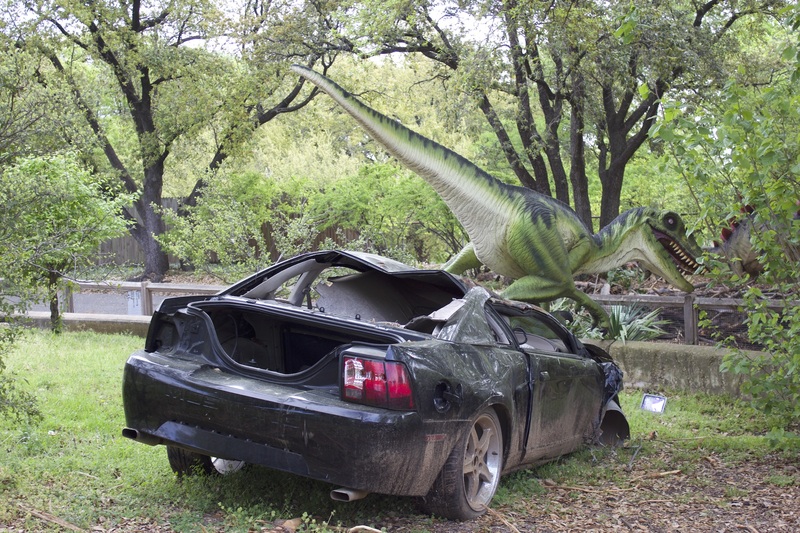 If they’re lucky, they might even spot the dino that roams around the park. 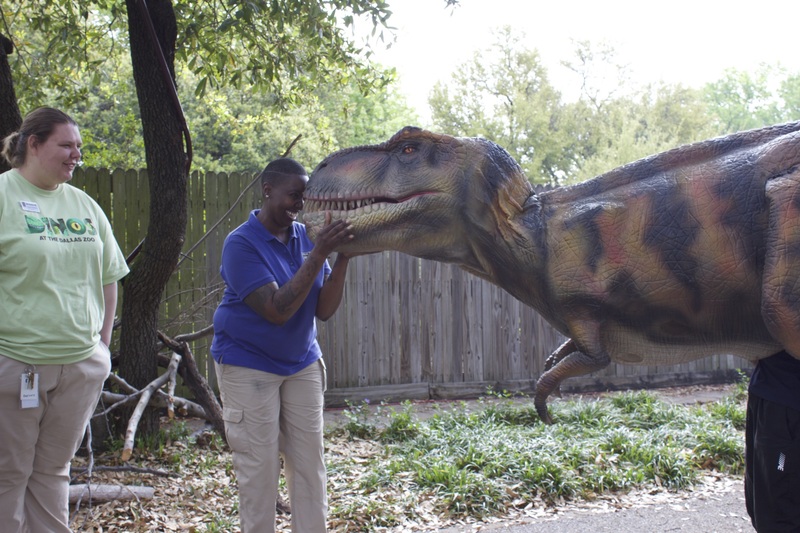 From velociraptors to citipatis, Dinos at the Dallas Zoo has meat eaters and plant eaters on display for the first time since their original appearance in 2015. 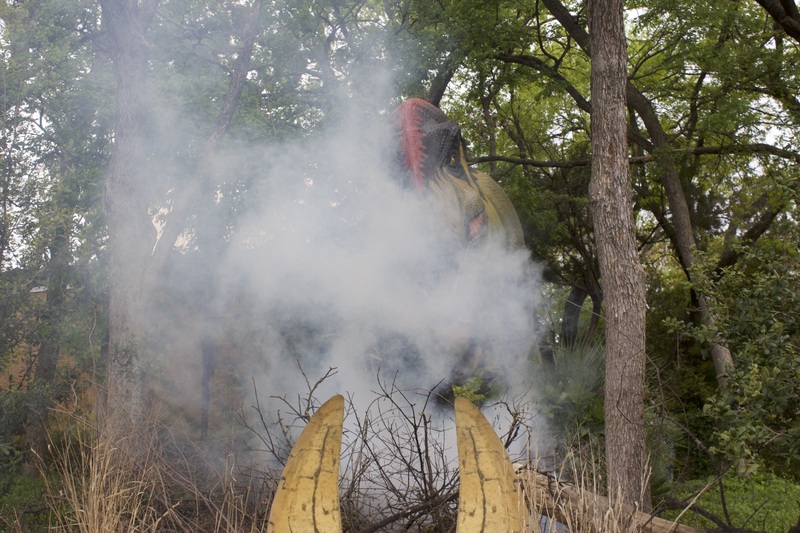 Dallas Zoo’s president and CEO Gregg Hudson says that year, the park had more than one million visitors—so it’s easy to see why the dinos were brought back. One astounding aspect of the dinos is their high quality and lifelikeness. Each is made of steel with waterproof skin. “The dinosaurs have electronic ‘brains’ that control their movements and sounds,” says a press release from the zoo. As you pass each dinosaur, you can hear their personalized roar, and the feisty dinos might even spray you with water. Catch all the prehistoric action from April 5 through Sept. 2. 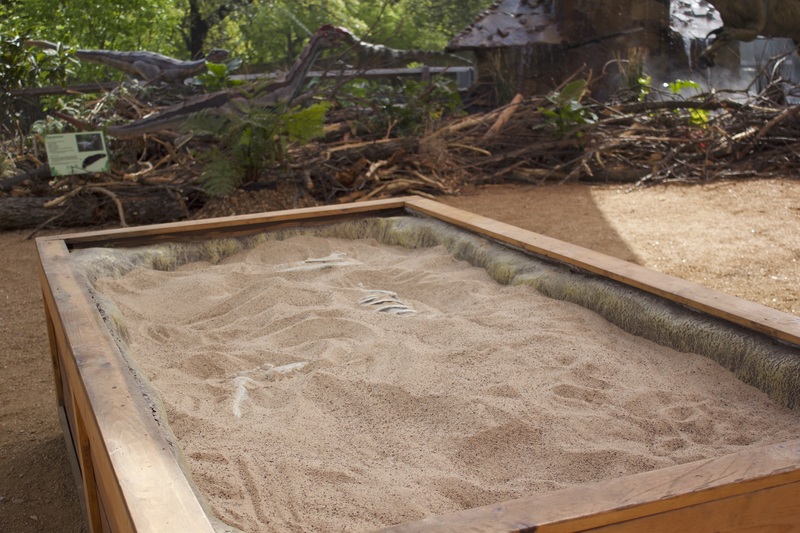 Access to the dinosaur area is included in the zoo’s admission, so there is no extra cost. 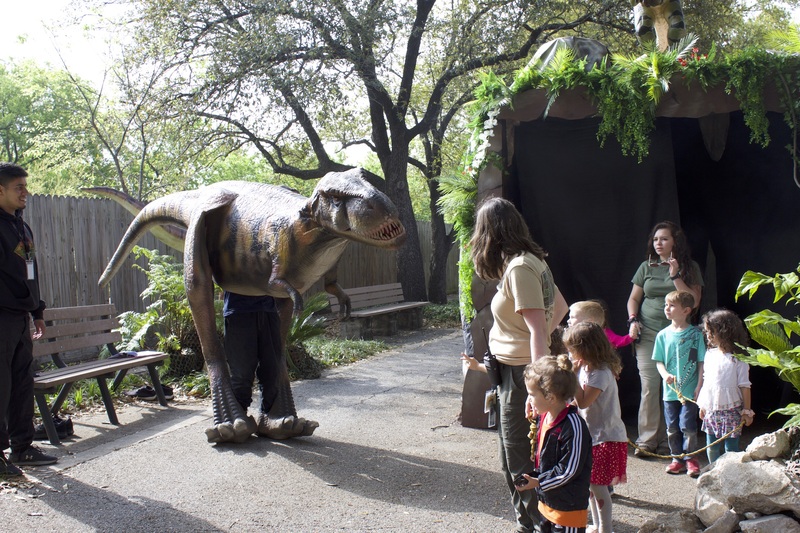 International Dino Day will be celebrated at the Dallas Zoo May 31 through June 2. Dr. Chris DeLorey—also known as Dr. Dino—will visit on June 1. Kiddos can wander through a cave with fossils around the walls. Make sure they watch their step, because the inside of the cave gets a little dark and foggy. 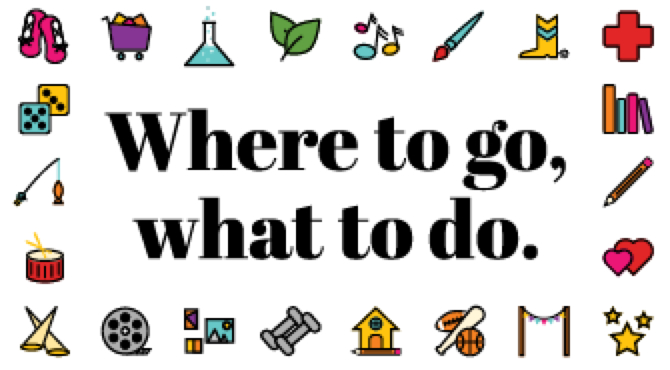 There is also a daily “Train a Dino” demonstration, a dino encounter and the “Wonders of the Wild” show is now “DinoSOAR,” and will discuss the connection between dinosaurs and today. The big takeaway from the exhibit is awareness of extinction. Hanging from the fences are infographics talking about how to prevent extinction, which animals are extinct because of environmental changes and how many species are being lost to man-made causes. Click through the pictures at the top to see more Dinos at the Dallas Zoo pictures.